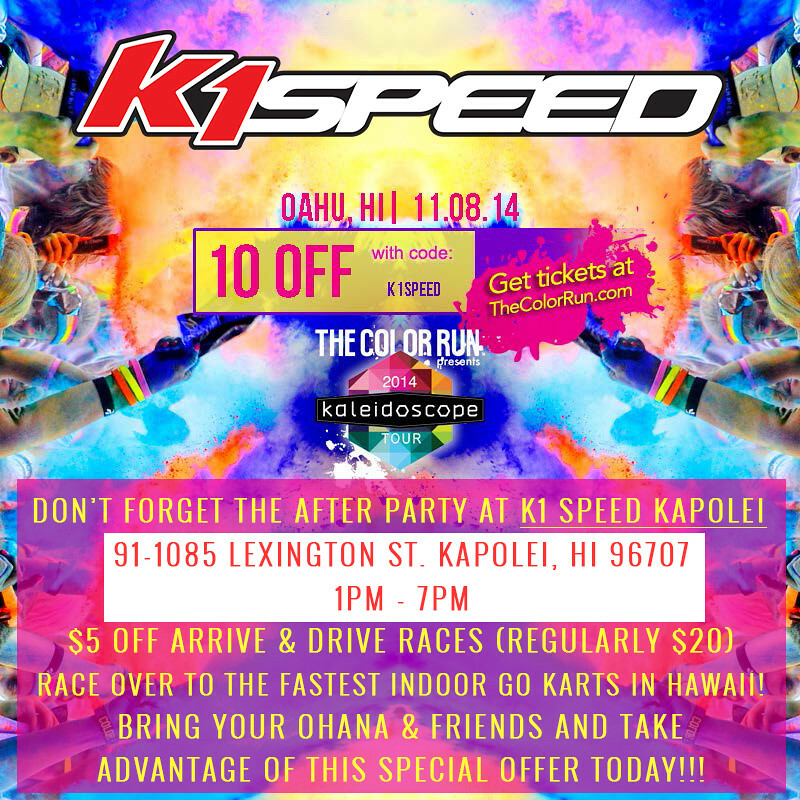 K1 Speed Kapolei has partnered with The Color Run Oahu for a “colorful” After Party! Grab your tutus, your friends, and your running shoes and we’ll see you at the start line! CLICK HERE for $10 off your registration when entering K1SPEED promo code. For adrenaline-pumping action…race over to the K1 Speed Kapolei off Lexington St. Bring your ohana and friends for the best indoor go-kart racing in Hawaii! After Party Special offer to all participants of The Color Run: $5 off (14-lap race, originally $20) on race day!